2018/23/10 – OFID – the OPEC Fund for International Development – has signed public sector loan agreements totaling more than $80 million. Auteur sahel-elitePublié le 16 juillet, 2018 16 juillet, 2018 Catégories Communications, Développement, TICMots-clés Africa, Development, Digital development, Digital Platforms, Digital Technology, Disruptive Technologies, Drones, e-agriculture, e-commerce, Farming, Malnutrition, World BankLaisser un commentaire sur How can digital technology help transform Africa’s food system? 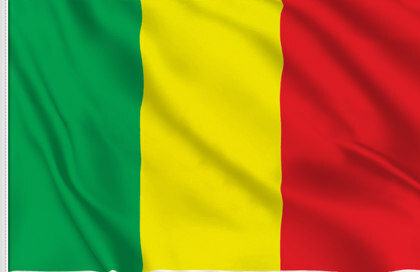 On 25 June 2018, the Council adopted conclusions on the Sahel/Mali. The Council reiterated the EU’s strategic and comprehensive engagement towards the Sahel region. The Council reaffirmed that the EU will continue to support the stabilisation efforts of the G5 Sahel countries as a basis for the development of the Sahel. The Council also called for enhanced coordination with all international actors involved to tackle the root causes of the multiple challenges in the region and promote its sustainable and inclusive development. In relation to the situation in Mali, the Council underlined the need for consistent progress in the implementation of the Peace and Reconciliation Agreement. The Council reaffirmed the EU’s commitment to support Mali in the forthcoming electoral process and to accompany Mali in its efforts to improve the security and the development of the North and Centre of the country.